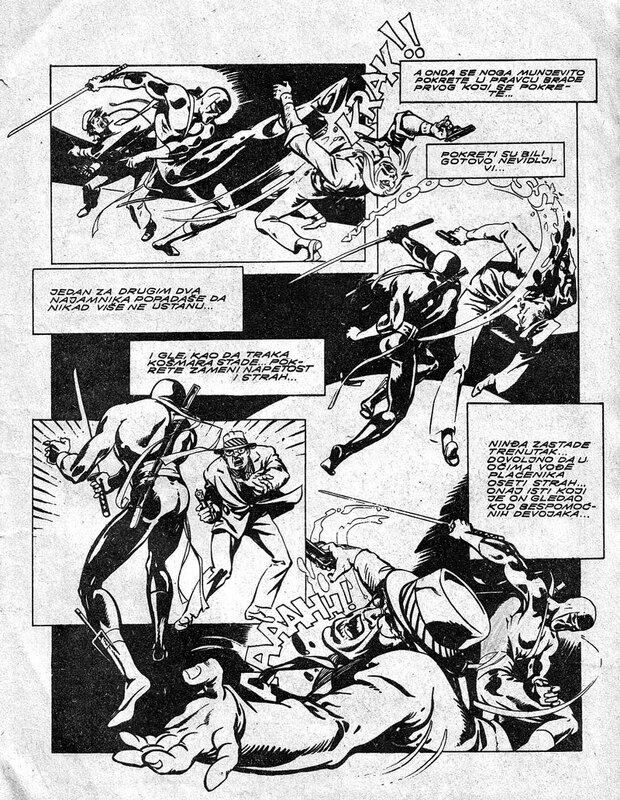 Yugoslavia at that time had a huge (considering the size of the country) comics production. One of the leading figures being Branislav (Bane) Kerac, creator of Cat Claw. 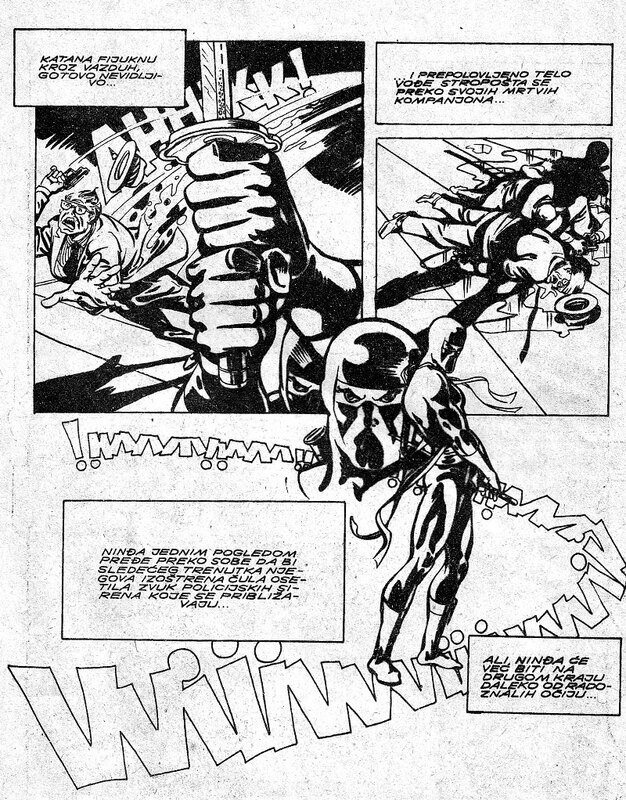 I don’t believe Kerac ever drew for the ninja series, but he did have a picturesque ninja villain in the Cat Claw series. Yugoslavia at the time had a license for Tarzan, Disney characters, Tom & Jerry, and few other characters so the local authors were able to make a living drawing and writing comics. 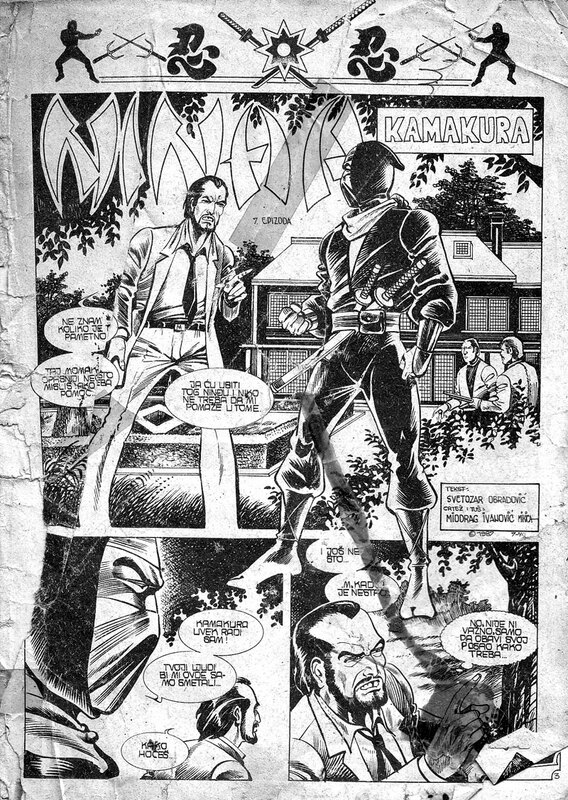 The Ninja series, in the scans on your site, was drawn by local artists, and the main character is Leslie Eldridge — the only non-japanese ninja (loosely based on Stephen K. Hayes). The character was based on the pulp novels published by the same publisher — Dečje Novine, Gornji Milanovac. They were writen by Derek Finegan (or, as the legend goes Brana Nikolić, Finegan being his pseudonim). Navid included some scans from his personal collection, albeit in rough shape. To quote him “These were my first exposure to ninja. 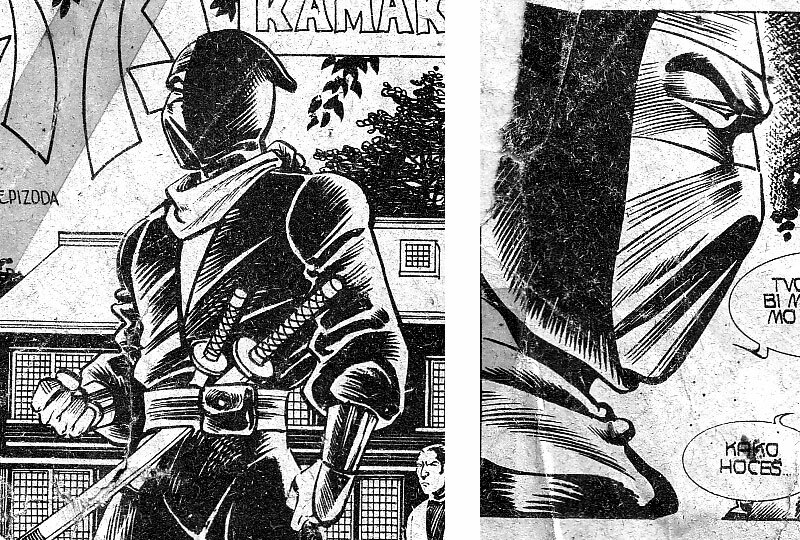 I was a collector of the ninja magazines and books as a kid, but most of them were destroyed in the war.” Being a collector of 80s ninja fare in a country that wasn’t torn up in a 6-way civil war is hard enough, I can’t imagine what fortune it took for these to survive not only the common childhood but a war zone to boot. We hope to hear more from our new pal from the former Yugoslavia, where ninja fandom endures.